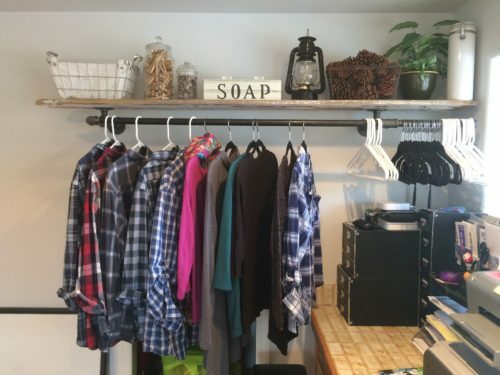 Get yer laundry! Piping hot laundry! 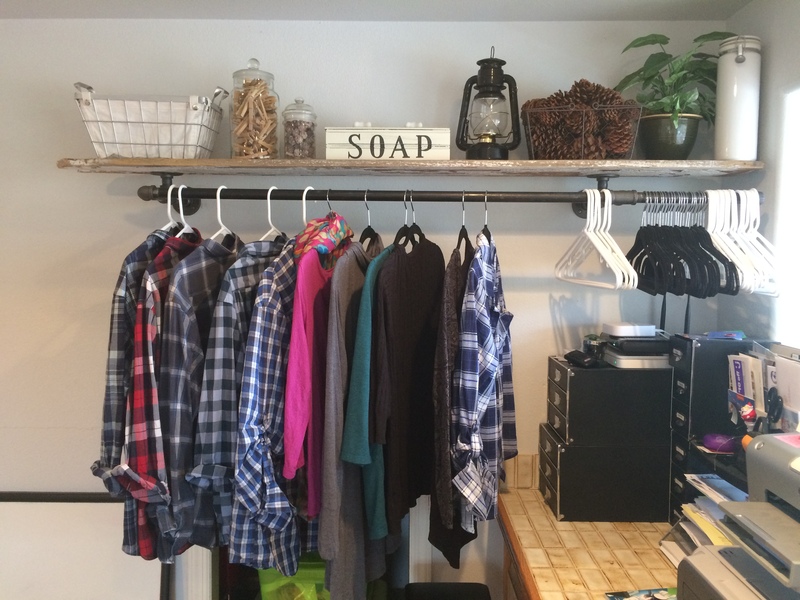 A recent project I tackled was adding a spot in our laundry room to hang up clothes to dry. 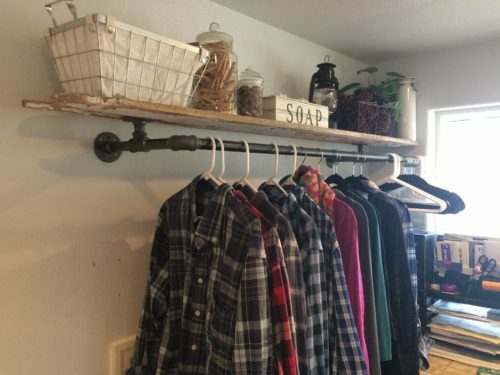 I attached iron pipe to the wall studs via some flanges and for the shelf, I used some barn wood that I’ve been hoarding for a few years. Guest starring: some of my shirts. Do you have another pappy? I never said that. Wish I had, though. That was a typo; I meant to type “puppy.” It was a favorite saying of Pedro’s.